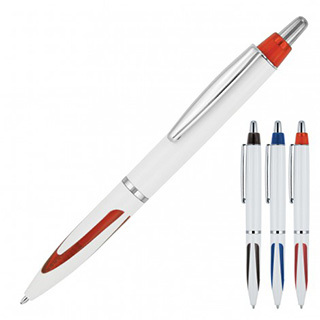 With it's space age lines and funky superstructure, the Aldo Ballpoint Pen comes with our push button, retractable ballpoint. If you are thinking of a plastic pen printed for your next promotion then a logo can be applied by the pad print method to the upper barrel. Black ink is from a plastic Parker type refill offering smooth reliability, a 1.0mm nib and 1,000m capacity.